Liberal pundits, Defense Secretary Robert Gates, and National Security Advisor James Jones are in agreement: General Stanley McChrystal, commander of U.S. and NATO forces in Afghanistan, was wrong to give public voice to his views about the best way forward in that beleaguered country. Yale law professor Bruce Ackerman accused McChrystal of “a plain violation of the principle of civilian control.” Washington Post columnist Eugene Robinson put it most bluntly: "The men with the stars on their shoulders … need to shut up and salute." Some are even drawing parallels between McChrystal and Douglas MacArthur. All these critics are wrong. The principle of civilian control means that once the competent civilian authorities have made a binding decision, military leaders are obligated to support it and carry it out. If they cannot in good conscience do so, they should resign. The principle does not mean that military leaders are barred from publicly expressing their best judgment as to the strategy and tactics best suited to the problem at hand before the civilian authorities have made their decision. Not only did MacArthur publicly disagree with President Truman’s Korean War policy toward the Chinese after the president had made his decision, but he also acted in direct violation of that policy in a deliberate effort to undermine it. He was, in the strict sense of the term, insubordinate. In firing him, Truman was acting to preserve the constitutional order. The current situation is entirely different. McChrystal is offering his professional judgment well in advance of a presidential decision. Yes, he’s doing it in public, but that’s something that small-“d” democrats should welcome. Combined with the leaking of his report, his London speech has triggered a public debate that is much more robust and better informed than it would otherwise have been. Jones suggested that military advice should "come up through the chain of command," while Gates chastised that it is "imperative" that military and civilian leaders "provide our best advice to the president candidly but privately." How quickly we forget: That was the rationale used to muzzle General Eric Shinseki during the run up to the Iraq war. Wouldn’t we have been better off to have had a no-holds-barred debate involving senior military officials prior to the invasion about the number of troops it would take to stabilize Iraq after the invasion? Wouldn’t we have had the kind of public discussion that the American people deserved but did not get? Does McChrystal’s speech put pressure on the president, as some have charged? Sure, and what’s wrong with that? The general is saying that the mission the president articulated back in March after a thorough policy review requires more troops than are now on the ground in Afghanistan. If he’s right about that, the president owes the country one of two things: send the troops or redefine the mission. 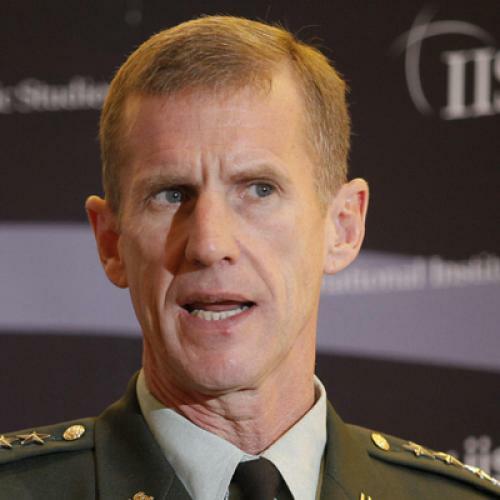 McChrystal’s intervention makes it more difficult to fudge the decision. In my book, that’s a good thing. And people who don’t want more troops sent should agree.